The state oil fund of East Timor showed a balance of $11.77 billion at the end of 2012, surpassing Oman’s and Bahrain’s with $9.1 billion and $8.2 billion, respectively. The Timor-Leste Petroleum Fund receives the income from offshore oil and gas reserves, which contribute 57 per cent to the tiny country’s GDP. The fund pays for nearly all of the government’s annual budget, which has increased from $70 million in 2004 to $1.8 billion in 2012. In August 2011 the country’s parliament approved a change in the law in order to make it easier to diversify its investment portfolio, which until that point had focused exclusively on US Treasury Bonds, as a way of increasing the return on investments. The fund, managed by the East Timor Central Bank and the Ministry of Planning and Finance. was inaugurated in 2005 and grew from around $1 billion to its current value. 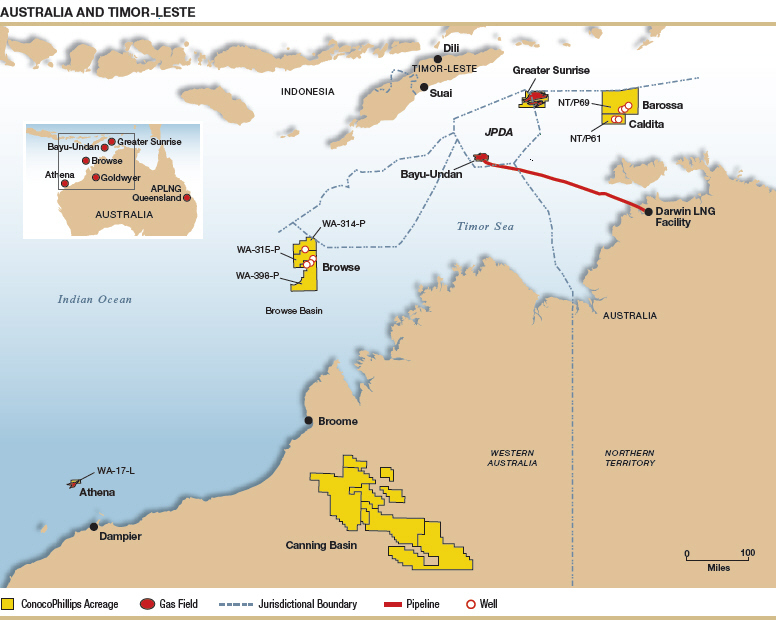 The main source of income stems from the large Bayu-Undan gas field 250 kilometers south of East Timor and 500 kilometer offshore Darwin, Australia, in the Timor Sea. The gas is being exploited in partnership with ConocoPhillips and is expected to deliver gas until 2023. East Timor and Australia share royalties from the field 50:50. Extending the revenue stream will require the East Timor government to break an impasse with Australian oil explorer Woodside, which leads a consortium including Royal Dutch Shell, ConocoPhillips and Osaka Gas to develop the larger Sunrise gas field nearby. East Timor is trying to use the oil revenue to rebuild the country which lacks basic infrastructure. The government is upgrading about 3,000 kilometers of roads and plans to build two ports in the next five years. It also tries to boost fisheries, agriculture and tourism. The country adopted the US dollar as its legal currency in 2000 after declaring independence from Indonesia and before it became a new nation in 2002. The resulting progress enabled by oil revenue will lift Timor-Leste from basic reconstruction to more advanced development. Given this resource, the country will be able to diversify its presence in the region and potentially be an active contributing member of ASEAN. However, there is a lot of effort to be made throughout the next decade in order to buffer the impact of the Bayu-Undan gas field being depleted by 2023.